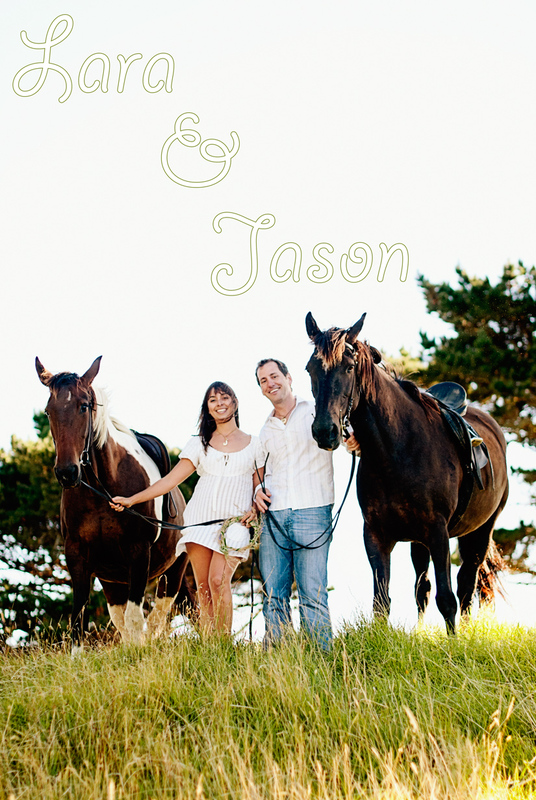 Engagement photos | Lara & Jason Tie the Knot! Apart from getting engaged, the second most exciting thing about our trip to Australia was my 30th birthday present from Jason, something I’ve pined for since I was a kid. It was a 6-month horse lease at a farm about 45 minutes north of Auckland, in a place called Parakai, at a farm called Tasman Rides. Since then, I have had an amazing couple of years with my horse Lyssa, and have spent countless afternoons meandering (and wildly galloping all over) the farm’s unmistakably New Zealand countryside. We ride over rolling green hills, and along valleys with hammocks and swampland on a creek bed. Pohutukawas, macrocarpa, ti trees and toi toi dot the landscape, and Lyssa and I regularly find wild turkeys, pigs, deer, peacocks and hawks on our weekend jaunts. 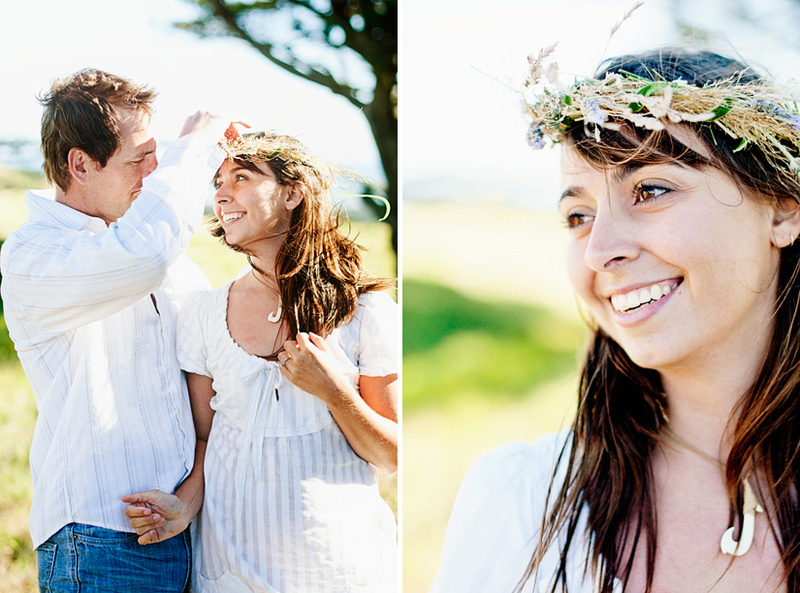 The farm is one of my favorite spots in NZ, and it has amazing views, so I was thrilled when Jason agreed to make it the setting for our engagement photos. One of my favorite parts of the farm is on top of the tallest hill, where there are views of the Kaipara Harbour in one direction, and over Woodhill Forest to Muriwai Beach in the other. It’s windy up there, and the grass below waves in the breeze. We brought Lyssa and a sweet, chubby paint mare named Jazira up there, and our amazing photographer friend Kate captured the day. Congratulations to you both. These are great pictures and wonderful stories. I had not seen your stories before and sort of stumbled into them only this evening. Great web site too.